Every Coulson Harris's Hawk comes with a pedigree, and we let the pedigree speak for itself. All Coulson Harris's Hawks are registered in the Baywing Database. 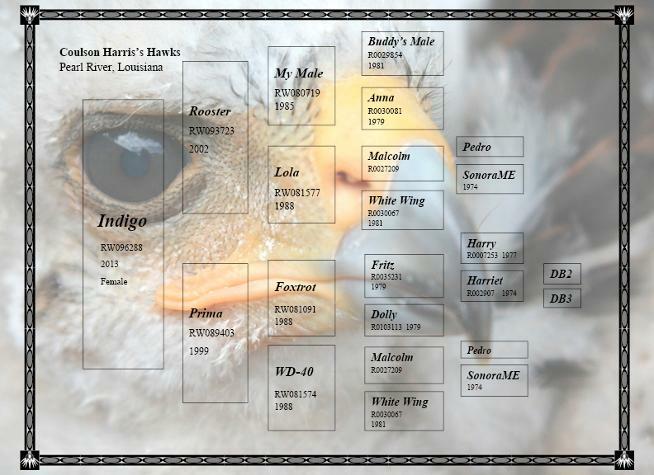 Pedigree for Indigo, a 2013 Coulson Harris's Hawk flown by Tom.